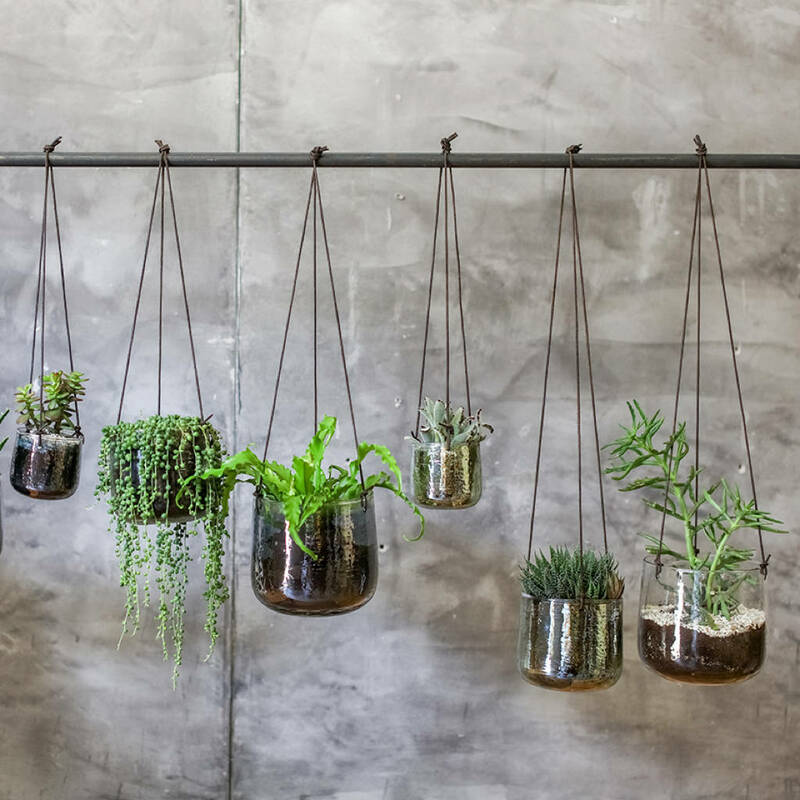 These glass hanging planters are finished in a translucent aged silver finish, and come with leather hanging ties. These elegant Aged Silver Hanging Planters have an eye catching finish. The organic shape is made from recycled glass. 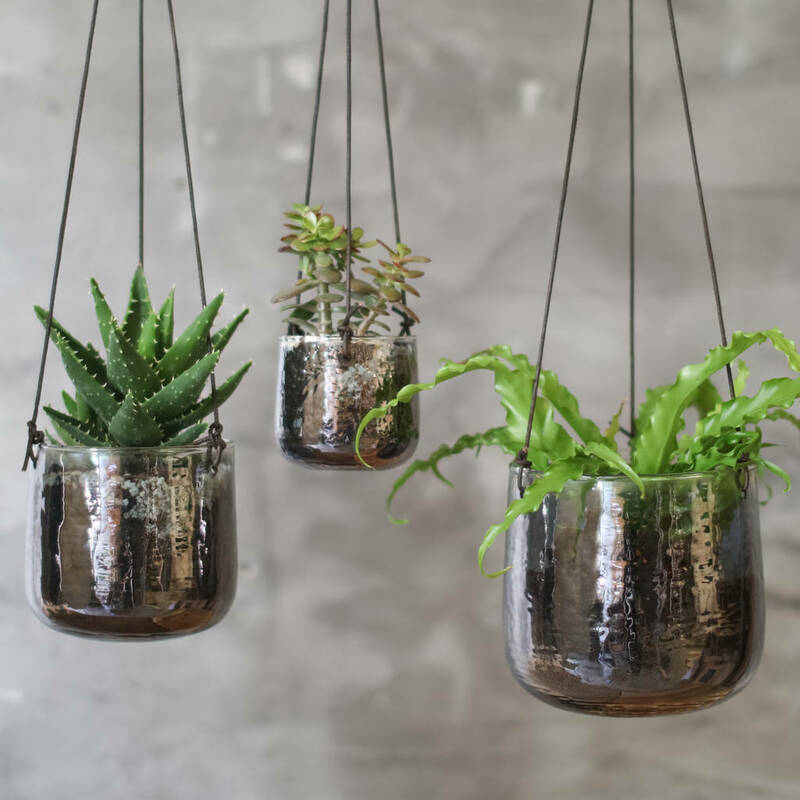 They are perfect for succulents, cacti, herbs and other indoor plants. Available in three different sizes. They look great as a stand-alone hanging planter or as a set of three.